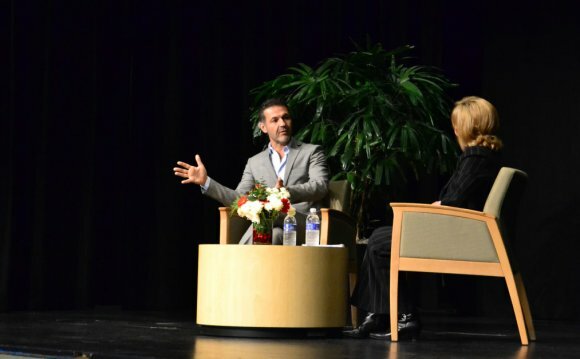 Before the massive success of The Kite Runner, many Bay Area residents knew Khaled Hosseini as their doctor. In fact, Hosseini kept working as an internist for over a year after the novel was published. Now, there isn’t much time to practice medicine — since Hosseini has published two bestselling novels and has a major motion picture, The Kite Runner, opening on December 14th. Hosseini had an active role in the film, from consulting with the filmmakers on a regular basis to helping choose a filming location that could pass for Kabul. The Kite Runner is the story of two childhood friends in Kabul, Afghanistan and how one dramatic incident changes the paths of both of their lives. The novel spans two continents and over 30 years and quickly became the third highest selling novel of 2005. RT met up with The Kite Runner‘s author, lead actor, and screenwriter in San Francisco. In the first installment of The Kite Runner interviews, RT chats with novelist Khaled Hosseini about when he knew he had hit it big, how he went from being a doctor to a bestselling author, and how the film elevated The Kite Runner to the next level. The Kite Runner is very visual and internal. Did you think it could work as a film? I’ve spoken to some Afghans who have seen the film and they were shocked at the similarities. I went with my father to Kashgar and he was stunned at the similarities. Baba’s house was very similar to what I had pictured in my mind when reading the novel. Did you have much input in the design of it? KH: I saw sketches of what it would look like and we talked about the type of furniture and photos [that] would be in there. There are many things in the background that Afghan audiences would notice, like books about Afghan presidents and pictures of Afghan kings. Was the plan always for the film to be in Dari? KH: It was Marc’s plan right from the start. When I first met him at a restaurant in LA, he said he wanted to shoot the film in Dari and I was very happy. You could do this film another way, but it would be a completely different film. I couldn’t understand, from an authenticity standpoint, how you could even work it out logistically to have the characters speaking generically Middle Eastern English. That is one of the aspects of the film that took something from the novel and elevated it. In the novel, you imagine the characters speaking in Dari, but you cannot hear it. The film has a transporting quality. The film also depicts Afghanistan’s vibrant culture, rather than how it’s usually portrayed. KH: That’s music to my ears. It’s no secret that people from that region of the world are usually depicted in the media in a less than flattering way. One of my favorite moments in this film is when Amir goes into a mosque and lays down his prayer rug and prays. This scene is about this man caught in a horrible moment where he turns to his faith for strength and salvation. Usually if you see a Muslim character praying on the screen, the next thing they do is to blow themselves up. This film comes from a completely different place. It doesn’t begin with terrorism or extremism or fanaticism. It begins with very ordinary people like you and me. It is very universal. How do the actors in the film compare to the characters you envisioned in your head when writing the novel? KH: I could give you a better answer if I could actually remember now what the characters looked like in my mind when I was writing the novel. I had a very clear image of these characters, but [then] I went on the set and met the boy who played Hassan. He inhabits that character. Suddenly, it occurred to me that I couldn’t think of Hassan without thinking of that actor’s face. It’s a bit of inspired casting. He is so expressive, he’s like an adult in a child’s body. KH: Somebody ought to write a story just about that. I can’t imagine anyone has ever pulled off anything like this. He learned more than just how to say his lines and pull off an accent. He actually organically learned the language and came out fluent in Dari to the point where I can sit for hours and speak to him in Dari. He can fool an Afghan into thinking he is from Kabul. He’s 26 years old but very wise beyond his years. Is your hope that The Kite Runner will help audiences realize that everyone has a story?